Hello everyone, how has your week been so far? 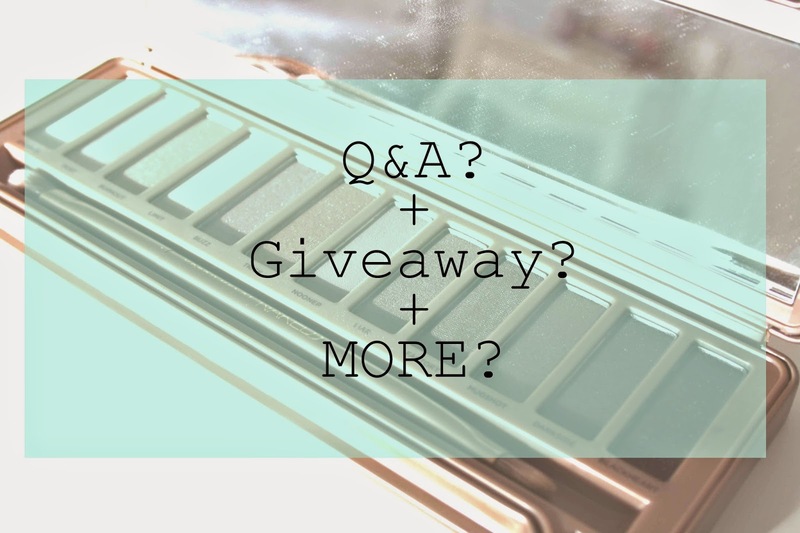 Today I kind of have something exciting to share, I would really like to do a Q&A and a giveaway for Christmas! Currently I am trying to build up my blog for more people to see and read and I’d love for people to get to know me a bit better. So if you have any questions for me, PLEASE leave them in the comments, whether its on this post or another one of my posts; once I have enough I will do a Q&A! Secondly, I really like the idea of doing a giveaway for the christmas time. I see giveaways going on a lot in the beauty blogger world and I’d love to be able to do one myself. This is not a definite yet though. I would LOVE to be able to reach 75-100 followers on my bloglovin’ page before doing so. Yes, this may be optimistic but I’d love to give it a try. If you read my blog and maybe you don’t follow my bloglovin, you could do so and I will 100% follow you back as I love finding new blogs. I don’t want to sound like I’m begging, but I thought it’d be a great way to get people interested and maybe readers will get something out of it if I do a giveaway. On the side of my blog it shows a counter of how many followers I have on bloglovin’ which is currently 22. There is also a follow me on bloglovin’ button on the side, which you can always click. Comment below what sort of things you’d like to see in a giveaway and I will see what I can do! I really hope this interests some of my readers, as blogging is something I am passionate about! Thanks for stopping by and I hope to see you back here soon.